https://github.com/RazrFalcon/svgcleaner - svgcleaner could help you to clean up your SVG files from the unnecessary data. canvas-svg - This is a set of related components that make canvas and SVG play together more. Notably, it allows you to save a canvas 2D context as SVG, and to have an SVG mirror of a canvas context. MagicMarkup - Easily create interactive mockups in Inkscape, without adding inline JS! Vector Magic - Automatically convert bitmap images like JPEGs, GIFs and PNGs to the crisp, clean, scalable vector art of EPS, SVG, and PDF with the world's best auto-tracing software. 1x1px - Ever needed a 1x1 transparent PNG pixel? JPEGclub.org develops new JPEG features and maintains the Independent JPEG Group's (IJG) software. jpegoptim is a utility for optimizing JPEG files. It provides lossless optimization (based on optimizing the Huffman tables) and "lossy" optimization based on setting a maximum quality factor. "when your JPEG image is under 10K, it’s better to be saved as baseline JPEG (estimated 75% chance it will be smaller) for files over 10K the progressive JPEG will give you a better compression (in 94% of the cases)"
https://github.com/ImageOptim/gifski - GIF encoder based on libimagequant (pngquant, gifquant?). Squeezes maximum possible quality from the awful GIF format. https://en.wikipedia.org/wiki/PostScript - a page description language in the electronic publishing and desktop publishing business. It is a dynamically typed, concatenative programming language and was created at Adobe Systems by John Warnock, Charles Geschke, Doug Brotz, Ed Taft and Bill Paxton from 1982 to 1984. PostScript as a Programming Language - PostScript has all the programming functionality you would expect from an HP-caclulator, plus some interesting features hard to find in other languages. There are variables, loops, subroutines (of a sort), and an advanced idea for the scope of variables. https://en.wikipedia.org/wiki/Remote_Imaging_Protocol - associated Remote Imaging Protocol Scripting Language, RIPscrip, is a scripting language that provides a system for sending vector graphics over low-bandwidth links, notably modems. It was originally created by Jeff Reeder, Jim Bergman, and Mark Hayton of TeleGrafix Communications in Huntington Beach, California to enhance bulletin board systems and other applications. Gist: Whiteboard Picture Cleaner - Shell one-liner/script to clean up and beautify photos of whiteboards! G'MIC - a full-featured open-source framework for image processing. 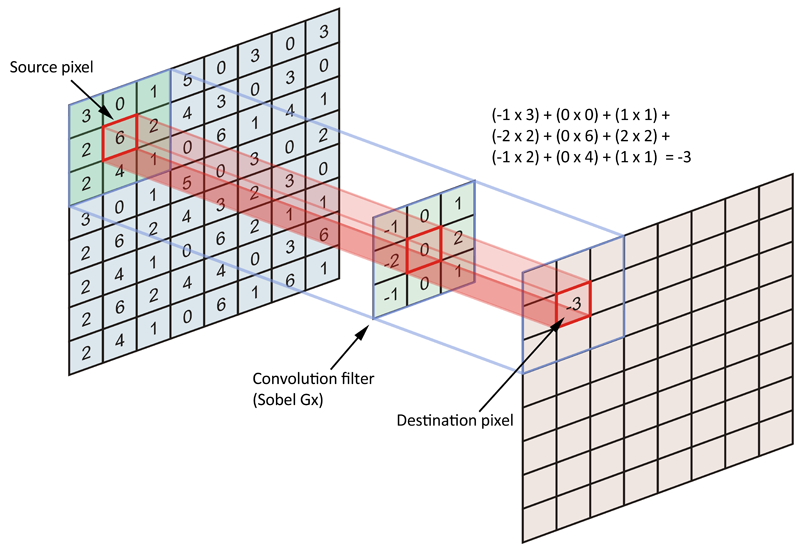 It provides several different user interfaces to convert/manipulate/filter/visualize generic image datasets, ranging from 1d scalar signals to 3d+t sequences of multi-spectral volumetric images, thus including 2d color images. libvips - A fast image processing library with low memory needs. https://github.com/jcupitt/nip2 - A spreadsheet-like GUI for libvips. https://github.com/hit9/img2txt - Image to Ascii Text with color support, can output to html or ansi terminal. Netpbm - a toolkit for manipulation of graphic images, including conversion of images between a variety of different formats. There are over 300 separate tools in the package including converters for about 100 graphics formats. Examples of the sort of image manipulation we're talking about are: Shrinking an image by 10%; Cutting the top half off of an image; Making a mirror image; Creating a sequence of images that fade from one image to another. Freestyle - software for Non-Photorealistic Line Drawing rendering from 3D scenes. It is designed as a programmable interface to allow maximum control over the style of the final drawing: the user "programs" how the silhouettes and other feature lines from the 3D model should be turned into stylized strokes using a set of programmable operators dedicated to style description. This programmable approach, inspired by the shading languages available in photorealistic renderers such as Pixar's RenderMan, overcomes the limitations of integrated software with access to a limited number of parameters and permits the design of an infinite variety of rich and complex styles. The system currently focuses on pure line drawing as a first step. The style description language is Python augmented with our set of operators. https://primitive.lol - Reproducing images with geometric primitives. https://github.com/aleju/imgaug - Image augmentation for machine learning experiments. PixiVisor - a tool for experimenting with the transmission of video over audio. It consists of two parts: Transmitter and Receiver. Transmitter converts the low-resolution video (stream from camera, static image or GIF animation) to sound in real time, pixel by pixel (progressive scan). So any image or animation can be transferred to the other devices through the sound. Receiver converts the sound (from microphone or Line-in input) back to video. You can set the color palette for this video, and record it to animated GIF file. GD is an open source code library for the dynamic creation of images by programmers. GD is written in C, and "wrappers" are available for Perl, PHP and other languages. GD creates PNG, JPEG and GIF images, among other formats. GD is commonly used to generate charts, graphics, thumbnails, and most anything else, on the fly. While not restricted to use on the web, the most common applications of GD involve website development. Processing is a programming language, development environment, and online community. Since 2001, Processing has promoted software literacy within the visual arts and visual literacy within technology. Initially created to serve as a software sketchbook and to teach computer programming fundamentals within a visual context, Processing evolved into a development tool for professionals. Today, there are tens of thousands of students, artists, designers, researchers, and hobbyists who use Processing for learning, prototyping, and production. Eschersketch - an experiment with pattern design in the classical wallpaper groups. It allows one to prototype tiling designs in HTML5 Canvas. polyHédronisme - a toy for building complex 3D polyhedral shapes from simple ones by "recipes". Mondrian is a smart and easy-to-learn vector graphics web app. Fakeimg.pl is a little tool that generates images with an URL. Choose the size, the colors, even the text. Oh… and it’s free. Evolvotron is an interactive "generative art" application for Linux to evolve images/textures/patterns/animations through an iterative process of random mutation and user-selection driven evolution. (This process is also often referred to as "evolutionary art" or "genetic art".) If you like lava lamps, and still think the Mandelbrot set is cool, this could be the software for you. binglide is a visual reverse engineering tool. It is designed to offer a quick overview of the different data types that are present in a file. https://github.com/mxgmn/WaveFunctionCollapse - This program generates bitmaps that are locally similar to the input bitmap. https://github.com/drummyfish/ptdesigner - C library and GUI tool for designing and generation of procedural textures, made as a part of my Bachelor thesis. Doesn't save undo history. Bug. Use file history, layers or sg-snapshot instead. GPS is a collection of brushes and accompanying tool presets. Tool presets are a simply saved tool options, highly useful feature of the GIMP. The goal of GPS is to provide an adequate working environment for graphic designers and artists to begin to paint and feel comfortable with GIMP from their first use. Later the user will change these settings based on his own workflow preferences and understanding of GIMP. sK1 - professional quality illustration program for Windows, GNU/Linux and macOS platforms. sK1 2.0 is a powerful and mature application that makes users more productive and provides them professional and free solution even for exotic *nix OSes. Whether you are a newbie user or an experienced designer, sK1 2.0 makes it easy to get started. With its professional color-management engine and wide-range file format compatibility, sK1 2.0 provides color accuracy and drawing flexibility you need for all types of projects. MyPaint is a fast and easy open-source graphics application for digital painters. It lets you focus on the art instead of the program. You work on your canvas with minimum distractions, bringing up the interface only when you need it. Photopea - a free online tool for editing raster art and vector graphics with support for PSD, XCF and Sketch files. Supported formats: Complex: PSD, XCF, Sketch, XD, CDR, SVG, EPS, PDF, WMF, EMF. Raster: PNG (APNG), JPG, GIF, WebP, ICO, BMP, PPM/PGM/PBM, TIFF, DNG, DDS. mtPaint - a painting program which Mark Tyler developed from scratch so he could easily create pixel art and manipulate digital photos. It uses the GTK+ toolkit (version 1 or 2) and runs on PC's via the GNU/Linux or Windows operating systems. Due to its efficient design it can run on older PC hardware (e.g. a 200MHz CPU and 16MB of free RAM). mtPaint is free software, which means you are able to freely use, modify and distribute it according to the GNU General Public License. Xara Xtreme - for Linux is a powerful, general purpose graphics program for Unix platforms including Linux, FreeBSD and (in development) OS-X. Formely known as Xara LX, it is based on Xara Xtreme for Windows, which is the fastest graphics program available, period. The Xara Xtreme source code was made available open-source in early 2006, and is being ported to Linux. This process is almost complete and Xara Xtreme for Linux is available for download now. CinePaint - an open source computer program for painting and retouching bitmap frames of films. It is a fork of version 1.0.4 of the GNU Image Manipulation Program (GIMP). It enjoyed some success as one of the earliest open source tools developed for feature motion picture visual effects and animation work. The main reason for this adoption over mainline gimp was its support for high bit depths (greater than 8-bits per channel) which can be required for film work. The mainline GIMP project later added high bit depths in GIMP 2.9.2, released November 2015. Fragmentarium - an open source, cross-platform IDE for exploring pixel based graphics on the GPU. It is inspired by Adobe's Pixel Bender, but uses GLSL, and is created specifically with fractals and generative systems in mind. https://github.com/3Dickulus/FragM - derived from Mikael Hvidtfeldt Christensen's Fragmentarium representing a compilation of features and fixes contributed by many users at FractalForums.com over 3-4 years. XFig - a free and open-source vector graphics editor which runs under the X Window System on most UNIX-compatible platforms. In Xfig, figures may be drawn using objects such as circles, boxes, lines, spline curves, text, etc. It is also possible to import images in formats such as GIF, JPEG, EPS, PostScript, etc. Those objects can be created, deleted, moved or modified. Attributes such as colors or line styles can be selected in various ways. For text, 35 fonts are available. Xfig saves figures in its native text-only "Fig" format. Xfig has a facility to print figures to a PostScript printer too. A convenient feature is the PSTEX or PDFTEX export format that allows a smooth integration of Xfig-generated images into LaTeX documents. Seashore - an open source image editor for Mac OS X's Cocoa framework. It features gradients, textures and anti-aliasing for both text and brush strokes. It supports multiple layers and alpha channel editing. It is based around the GIMP's technology and uses the same native file format. However, unlike the GIMP, Seashore aims to serve the basic image editing needs of most computer users, not to provide a replacement for professional image editing products. Also, unlike GIMP, Seashore has an all-new Cocoa UI that will fit right in on Mac OS X.
https://github.com/lettier/gifcurry - Create animated GIFs, optionally overlaid with text, from video files. ArgyllCMS is an ICC compatible color management system, available as Open Source under the AGPL. It supports accurate ICC profile creation for scanners, cameras and film recorders, and calibration and profiling of displays and RGB & CMYK printers. Little CMS intends to be an open source small-footprint color management engine, with special focus on accuracy and performance. It uses the International Color Consortium standard (ICC), which is the modern standard when regarding to color management. xgrabcolor - a basic color picker, that allows to grab a color from any pixel on screen, display the corresponding colorname, to be used, for instance, in HTML pages, the color RGB and HSV values, as well as the color alpha channels. Each of these values can also be modified directly by the user in a synchronized way to generate new colors. Colors can be stored in a list, for later use. https://github.com/generaltso/vibrant - Extract prominent colors from images. Go port of the Android awesome Palette class aka Vibrant.js. Kroki! - provides a unified API with support for BlockDiag (BlockDiag, SeqDiag, ActDiag, NwDiag), C4 (with PlantUML), Ditaa, Erd, GraphViz, Mermaid, Nomnoml, PlantUML, SvgBob and UMLet... and more to come! https://en.wikipedia.org/wiki/DOT_(graph_description_language) - graph description language. DOT graphs are typically files with the file extension gv or dot. The extension gv is preferred to avoid confusion with the extension dot used by early (pre-2007) versions of Microsoft Word. nwdiag - generates network-diagram images from .diag files (similar to graphviz’s DOT files). https://github.com/shd101wyy/markdown-preview-enhanced - One of the 'BEST' markdown preview extensions for Atom editor! Shutter is a feature-rich screenshot program. You can take a screenshot of a specific area, window, your whole screen, or even of a website – apply different effects to it, draw on it to highlight points, and then upload to an image hosting site, all within one window. ScreenCloud - Take a screenshot using one of the 3 hotkeys or simply click the ScreenCloud tray icon. Xournal - an application for notetaking, sketching, keeping a journal using a stylus. It is free software (GNU GPL) and runs on Linux (recent distributions) and other GTK+/Gnome platforms. It is similar to Microsoft Windows Journal or to other alternatives such as Jarnal, Gournal, and NoteLab. Jarnal - an open-source application for notetaking, sketching, keeping a journal, making a presentation, annotating a document - including pdf - or collaborating using a stylus, mouse or keyboard. It is similar to Microsoft Windows Journal and to the earlier Mimeo whiteboarding and Palm notepad applications. There is also a commercial knockoff of Jarnal called PDF Annotator - for $50 you can enjoy a subset of the capabilities that Jarnal provides for free. NoteLab - brings the power of digital note taking to Linux, Windows, Mac OS X, and Solaris. Using NoteLab is just like writing with a pen on real paper. However with NoteLab, the pen and paper are electronic, you never run out of ink, and you have all the paper you'll ever need. NoteLab is free software licensed under the GNU GPL. Like Linux and Firefox, NoteLab and its full source code are available at no cost for anyone to view, analyze, scrutinze, and improve. NoteLab saves your notes in the industry standard SVG (Scalable Vector Graphic) format. Thus any program that can understand this open, next-generation graphic format can be used to view NoteLab files. NoteLab can also print your notes or export them to a number of image types including PNG and JPEG. NoteLab allows the user to select en tire words, stretch them, move them, change their color, change their line width, delete them, and bring them back. Simply speaking, NoteLab understands a stroke as a complex shape. It doesn't just look at the page as a collection of ink on a page, but instead as a collection of words in a dynamic environment. Dotgrid - a distractionless vector tool with line styles, corner controls, colours, grid-based tools, PNG and SVG export.The application is free and Open Source, and also available live to be used with your browser, on your Raspberry Pi, or on your mobile device. Ronin - a cross-over between Vim and Photoshop, meant to quickly render simple graphic tasks.Ronin is currently under development, it now includes basic digital painting functionalities. Pencil2D Animation - An easy, intuitive tool to make 2D hand-drawn animations. Enfuse - PanoTools.org Wiki - command-line program used to merge different exposures of the same scene to produce an image that looks very much like a tonemapped image (without the halos) but requires no creation of an HDR image. Therefore it is much simpler to use and allows the creation of very large multiple exposure panoramas. https://github.com/pugwonk/gif2xlsx - I worked for a long time in financial services, and I can tell you that one thing I got sick of hearing was "how do I convert animated GIFs into Excel files". If you're here wondering why nobody has yet exploited this gap in a very lucrative market, wonder no longer. Help is at hand. The importance of good noise - There are many articles to read about noise functions in computer graphics, especially now that a lot of people recently got interested in ray tracing, but it took me a long time to fully understood why noise characteristics are so important and I didn’t find a good resource on the Internet explaining it, so I’ll give it a shot. OpenPhoto is an Open Source photo sharing platform which gives users complete ownership and portability of their photos. Users’ photos, tags and comments are seamlessly stored into personally owned cloud services owned by themselves. Whatever they want to do or wherever they want to go their photos are free to go with them. PiGallery 2 - a self-hosted directory-first photo gallery website. Tango Desktop Project exists to help create a consistent graphical user interface experience for free and Open Source software. Open Icon Library - Free for anyone to use on you computer, website or any other project. Chalkwork is a visually unified set of carefully designed icons. Modern UI Icons - Handcrafted pixel perfect vector icons. Glyphicons is a library of precisely prepared monochromatic icons and symbols, created with an emphasis on simplicity and easy orientation. Maki is a clean point of interest icon set made for web cartography. SJJB SVG Map Icons - an attempt to create a simple consistent set of vector icons suitable for cartographic use. Climacons - climatically categorised pictographs for web and user interface designers. LivIcons - Truly animated icon pack with power of scalable vector graphic for clean and perfect look at any devices. https://github.com/sixsixfive/Monotone - A Monotone icon theme that contains over 1300 scalable icons to cover more than 5500 icons from the last linux decade. Its mainly made for dark desktops or HTPC's however it can also be used as a pure action/toolbar icon theme, fallback icon theme or even on bright desktops after a color change. https://github.com/dylanaraps/pxltrm - a terminal pixel art editor written in pure bash. Draw pixel art without a mouse using intuitive hotkeys. This page was last edited on 14 April 2019, at 05:46.